By Raúl Huertas, Noble Research Institute, Admore, Oklahoma, USA. Rafael Catalá, Centro de Investigaciones Biológicas-CSIC, Madrid, Spain. Julio Salinas, Centro de Investigaciones Biológicas-CSIC, Madrid, Spain. Background: Tight regulation of gene expression is essential to correctly respond to external and internal signals. Modulation of splicing, a process that mediates the removal of introns from precursor mRNA (pre-mRNA) to give rise to functional mRNAs, plays a capital role in this regulation. 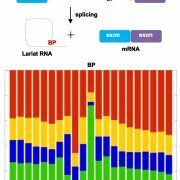 Pre-mRNA splicing is carried out by the spliceosome, a large and dynamic nuclear ribonucleoprotein (RNP) machinery. So far, it has been assumed that proteins associated with the spliceosome determine its specificity. Unexpectedly, recent results revealed that a core component of the spliceosome, the protein LSM8, also has a key role in controlling its activity and specificity. Question: We wanted to know if other core components of the spliceosome also controlled spliceosome activity and specificity. Findings: We revealed that, indeed, another spliceosomal core component, the SmE1 protein, also controls the activity and specificity of this molecular machinery. Interestingly, our results demonstrate that different core components confer different specificity to the spliceosome. 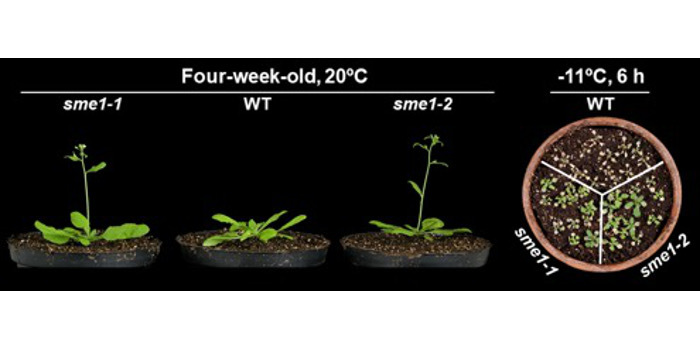 Through characterizing Arabidopsis sme1 null mutants, we found that SmE1 is essential for correct plant development and negatively regulates the adaptation to low temperature. 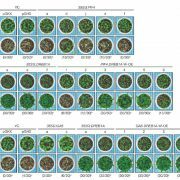 SmE1 functions by ensuring the correct splicing of different pre-mRNAs involved in plant development or cold acclimation. SmE1, therefore, seems to be essential for accurate determination of the adequate gene expression patterns in response to both external and internal cues. All in all, we conclude that SmE1 controls plant development and adaptation to low temperature by determining spliceosome target selection. Next steps: Two main questions arise from our results. (i) Do other core components of the spliceosome have a similar function to LSM8 and SmE1 proteins? (ii) Which are the molecular determinants underlying their specificity? 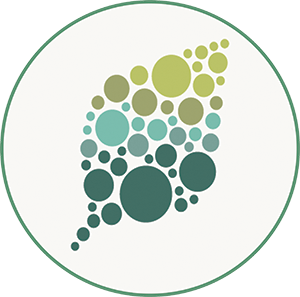 Answering these questions is essential to understand the regulation and function of the spliceosome in controlling plant physiology. Key words: abiotic stress, flowering time, cold acclimation, post-transcriptional regulation, splicing.